I am so old that the previous two Triple Crowns were won in a) the first year I had any awareness of the game, and b) the first year I was a true fan. It was – and is – a singular accomplishment. Miguel Cabrera deserves all the praise. He deserves to be in the company of F. Robby and Yaz and all the rest. He does not deserve the Most Valuable Player Award. I know, I know, I’m the traditionalist and the one who whined here about Felix Hernandez getting the Cy Young last year. And I’m not going to hang this entirely on the idea that historically there was nothing automatic about a Triple Crown equaling MVP (ask not just Ted Williams, but Lou Gehrig). But I also have an appreciation of (if not a slavish dedication to) all the statistics that have come into the game since Carl Yastrzemski’s matchless September got him his place in history in 1967. And the thing being left out of the arguments about Cabrera versus Mike Trout is that the reason “The Triple Crown” was such a big deal all that time was that it wasn’t just the imaginary title we gave the leader of three Glamor Batting Categories – it was the imaginary title we gave the leader of the only three batting categories we had. I exaggerate only slightly here. The years that the baseball cards were horizontal and not vertical, we also got Games Played, At Bats, Hits, Doubles and Triples printed on the back. Well, those were just for us kids, right? What about the grown-up stuff? 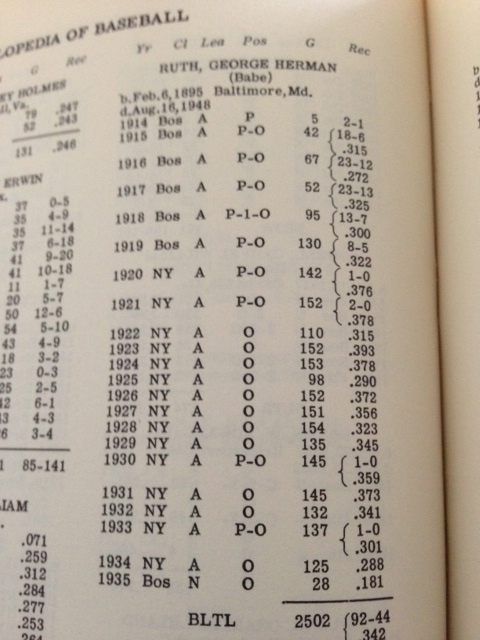 Who’s Who In Baseball – the softcover handbook, still printed, the last vestige of the fabled baseball publishing industry of the 1930’s – offered exactly what the baseball cards did…plus stolen bases. Still, that was nowhere near official. What about the bible of the game? The veritable New Phone Book of the season ahead and the season behind? What about The Sporting News Official Baseball Guide? It dated to 1942 and its antecedents stretched back to Beadle’s Dime Base-Ball Player edited by Henry Chadwick in 1860. This is way more sophisticated, no? Games, At Bats, Runs, Hits, Total Bases (ooooh, Total Bases), Two Base Hits, Three Base Hits, Homers, RBI, Sacrifice Hits, Sacrifice Flies, Stolen Bases, Caught Stealing, and “Percentage” – Batting Average. 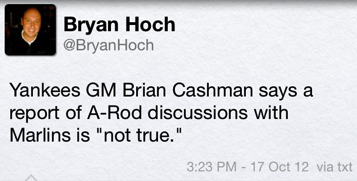 By the way, Caught Stealing was a revolutionary statistical addition. 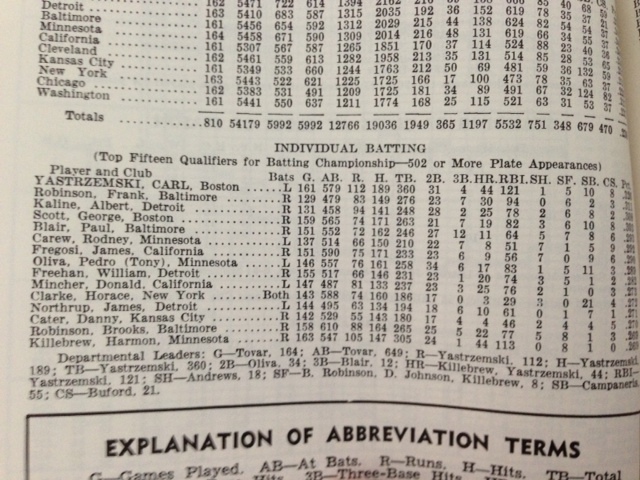 In 1968 baseball’s OFFICIAL STATISTICS DID NOT EVEN INCLUDE ON BASE, OR SLUGGING PERCENTAGE. The Triple Crown was The Triple Crown because it was the most sophisticated measurement of a batter’s total impact on the game. And in terms of historical placement, it was a gold mine. When Frank Robinson and Carl Yastrzemski won their Crowns we were still a couple of years away from The Baseball Encyclopedia. What those of us who did not have complete runs of The Sporting News Guide, The Reach Guide, The Spalding Guide, The Players’ League Guide, and Beadle’s Dime Base-Ball Player had, was The Official Encyclopedia Of Baseball. In one fan’s lifetime, in my trip from an eight-year old going to his first Yankee game to the 53-year old sitting in the front row last night going deaf from the excessive PA system, who used to host the telecasts of the World Series before the turn of the century (! ), we went from what you see to the left, to WAR and PZR. That – Full Name, Birth Date, Birth Place, Date of Death (sometimes), Batted/Threw (sometimes), Games Played, Won-Lost Record, and Batting Average – was all that we had for the official baseball historical record the last time somebody won the Triple Crown before Miguel Cabrera did it last night. No homers, no RBI, no Slugging Percentage – no hits, no runs, no errors! And – you’re right – Ruth’s entry is the most sophisticated one in the book because he was a pitcher and a position player! So I applaud what Cabrera did, and I want to buy him something to thank him for doing something that merely reminds me of the excitement of a player sweeping the statistical board – as we thought we knew it – when I was a kid. In short, Trout was about 30 percent more valuable than the runner-up (and that’s with Robinson Cano’s explosive finish), and he doubled the value of the 12th best player in the league. For contrast, the top five guys in NL War finished in a grouping of 0.5 (Buster Posey 7.2, McCutchen 7.0, Braun 6.8, Molina 6.7, Wright 6.7) allowing room for interpretation and argument. To get down to half the value of the WAR champ, you have to go to Carlos Beltran and David Freese and a tie for 33rd. That room for argument is non-existant in the American League. Miguel Cabrera won a Triple Crown, and Mike Trout’s season was 54 percent more valuable. 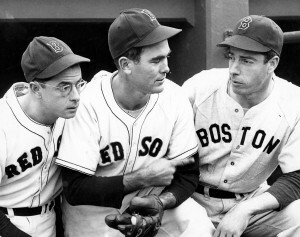 Which is, at minimum, the added value of all the new statistics, since Yaz won, and I was a kid, and there were only 20 teams – and “The Triple Crown” was the best we had.